Former candidate Jeb Bush endorsed Ted Cruz for the Republican presidential nomination on Wednesday, saying the U.S. senator from Texas represents the party's best chance of winning the White House. In a statement, the former Florida governor called Cruz a consistent, principled conservative who has demonstrated an ability to appeal to voters and win primary contests. "Washington is broken, and the only way Republicans can hope to win back the White House and put our nation on a better path is to support a nominee who can articulate how conservative policies will help people rise up and reach their full potential," Bush said. The 63-year-old Bush, whose father and brother served as president, dropped out of the presidential nomination fight after losing badly in South Carolina on Feb. 20. The endorsement comes as establishment Republicans scramble to stop front-runner Donald Trump from winning the nomination because of his divisive proposals like a plan to deport 11 million illegal immigrants. Cruz has run in second place behind Trump and could conceivably win enough Republican delegates to take the nomination. Ohio Governor John Kasich's lone path to the nomination is to extend the nomination race until the party's national convention in July. The idea is to deny Trump the required 1,237 delegates needed and force party leaders to consider someone else. A source close to Bush said Bush picked Cruz because he has the most viable path to the nomination and has shown that he can win states. The source said Bush considers a push for a contested convention to be a "hail-Mary strategy at best." 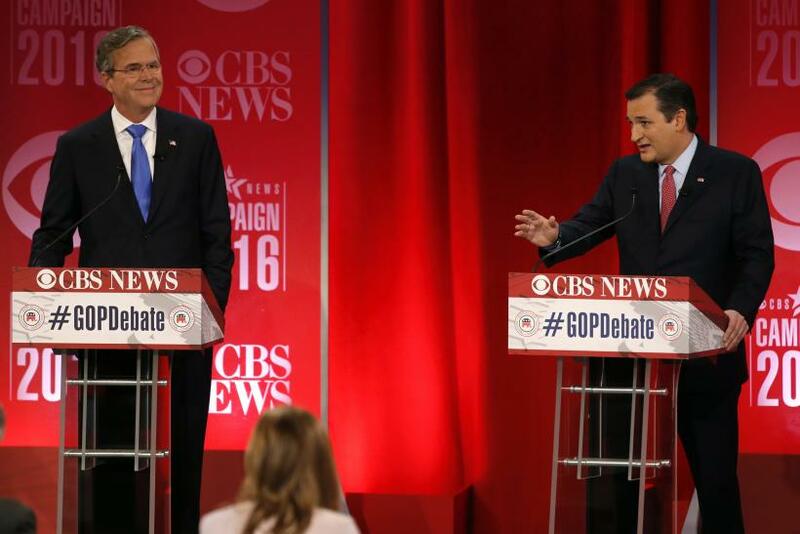 In the weeks after he withdrew, Bush met in Miami with former rivals Cruz, Kasich and U.S. Senator Marco Rubio of Florida. Rubio dropped out of the race after losing Florida last week. Bush spoke by phone to Cruz on Monday. In his statement, Bush resumed his sharp criticism of Trump, saying Republican voters must move to overcome "the divisiveness and vulgarity" that Trump has brought into the political arena "or we will certainly lose our chance to defeat the Democratic nominee and reverse President [Barack] Obama’s failed policies." "To win, Republicans need to make this election about proposing solutions to the many challenges we face, and I believe that we should vote for Ted as he will do just that," Bush said. In a statement, Cruz said Bush's endorsement "is further evidence that Republicans are continuing to unite behind our campaign to nominate a proven conservative" to defeat Democratic favorite Hillary Clinton in the Nov. 8 election.